I am not much of a cake maker, so it does say something about this recipe that is has been a resounding success each time I have made it. 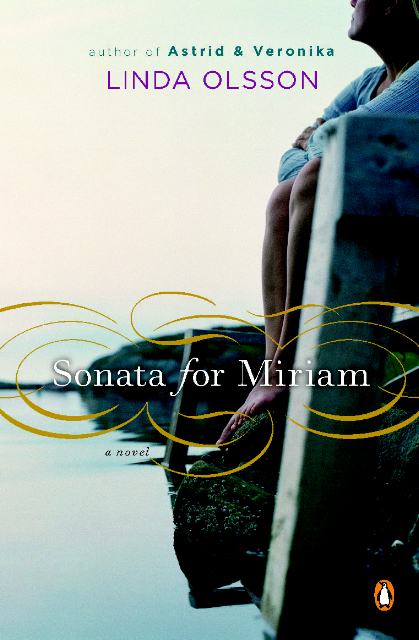 The old woman who created it, and whose name was Iris, lived on the island where Cecilia in my novel Sonata for Miriam lives. It’s a barren island in the Baltic and in the 60’s when I had the good fortune to first set foot there, only a handful of people still lived there permanently. One of them was Iris. All produce had to be ordered from the mainland – except for fish. So this cake was a true indulgence. Not that Cecilia would have made this. She is a bit like me in that respect. Sometimes I have made this cake for Easter and added little chocolate Easter eggs for decoration. Much easier than it sounds, and very, very rewarding. Note: You can double or triple the recipe to serve a larger crowd. Vanilla sugar is a commonly used ingredient in Swedish desserts, and is made by mixing granulated sugar with vanilla beans or vanilla extract. You can find it at specialty food stores. Preheat oven to 350 degrees F. Cover a baking sheet with parchment paper. Trace two circles on the paper using a 6 to 7-inch plate, or just draw the circles freehand. To make the cake: In a large bowl, combine ground hazelnuts, granulated sugar, cocoa powder, and vanilla sugar. Set aside. In a large bowl of an electric mixer, whip the egg whites until they form stiff peaks. Gently fold beaten egg whites into the dry ingredients. Spread the mixture evenly on the parchment paper, forming two equal circles. Bake for 15 minutes. The cakes will not rise much and they may crack a little, but this is as it should be. Let cool. To make the filling: In a medium saucepan, melt the butter. Add sugar. Remove from heat, add milk and then the egg yolks, one at a time, while stirring. Heat again on low until set, but don’t boil. The result should be similar in consistency to custard, and a little translucent. Let cool. Move one cake from the baking sheet onto a plate. Spread the filling over it, then place the second cake on top. To make the topping: Whip the cream and a pinch of sugar on high speed. Spread the top of the cake with whipped cream and dust with cocoa powder.